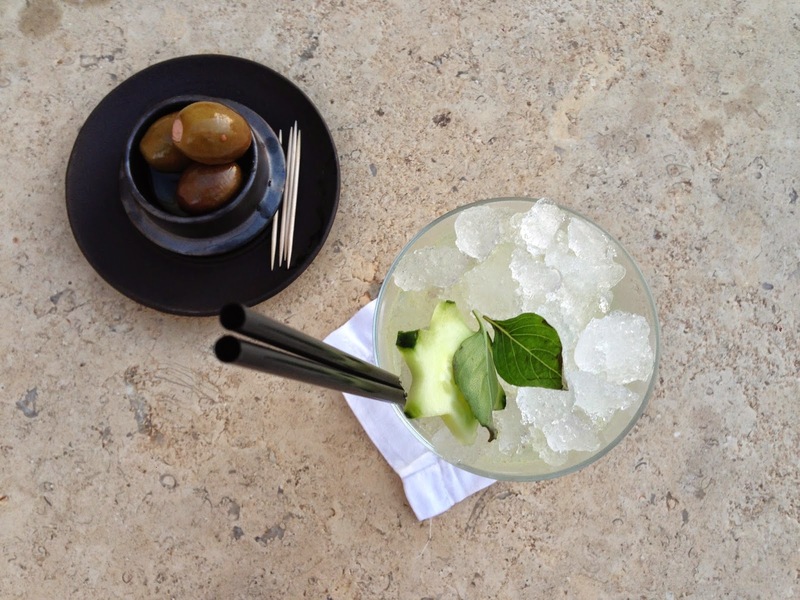 The other night we decided to hop skip over to a new beautiful local resort, Amanzoe for a cocktail or two. 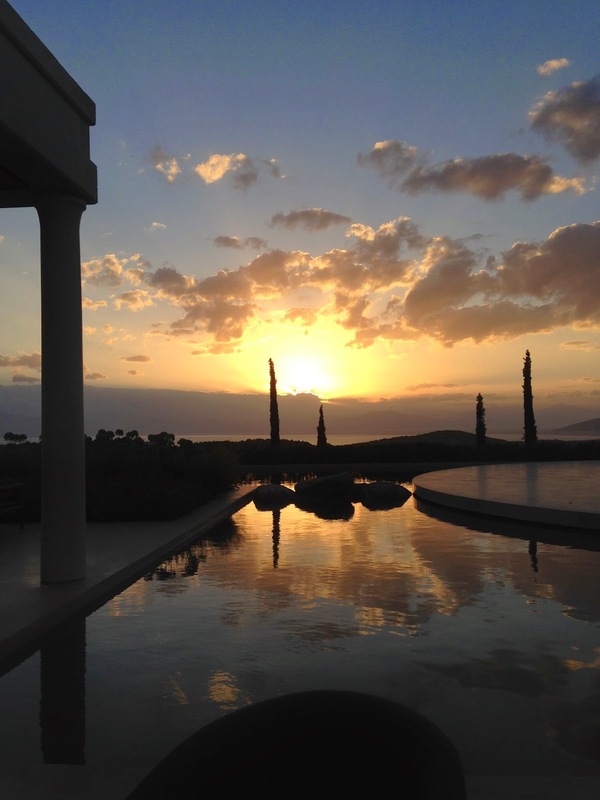 It is situated on a hill overlooking the pretty island of Spetses and seaside town of Porto Heli. At sunset it has the most beautiful, breathtaking views. 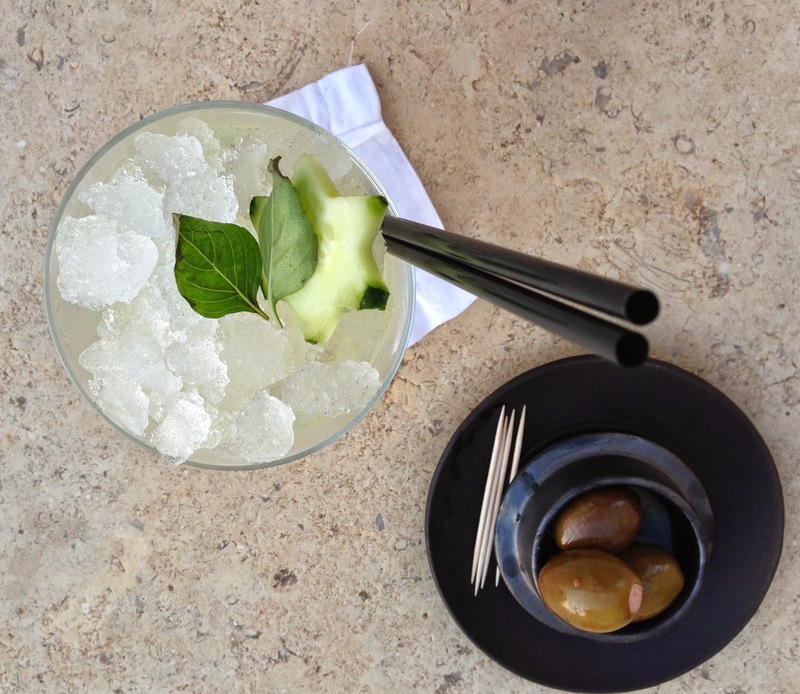 I went for Athena which was a delicous mix of vodka, olive oil, cucumber, basil and sage liqueur. A savoury mix of olive oil and sweet basil that went well with the feta stuffed olives.